Like the Salween and Yangtze rivers, the Mekong river arises in the Three Rivers Source Area high in the Tibetan plateau in Qinghai, China. The Sanjaingyuan National Nature Reserve was established to protect the headwaters of these three major rivers. 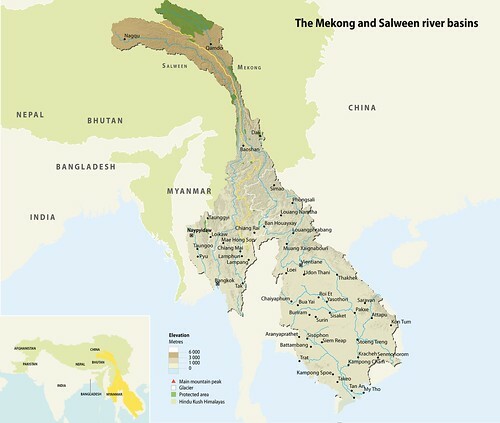 For approximately 300 km of its length, the Mekong runs parallel to the Salween and Yangtze rivers through the Three Parallel Rivers World Heritage site in Yunnan province, China. It is the 12th longest river in the world and the 7th longest in Asia. 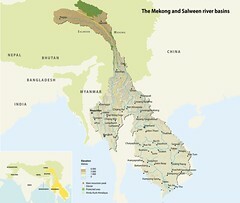 Flowing through six countries, the Mekong drains into the South China Sea through the Mekong Delta in Vietnam. At times along its course it forms the international border between Myanmar and Laos, and between Laos and Thailand. About one-fifth of the river lies in the upper basin in the Tibet part and in mainland China. 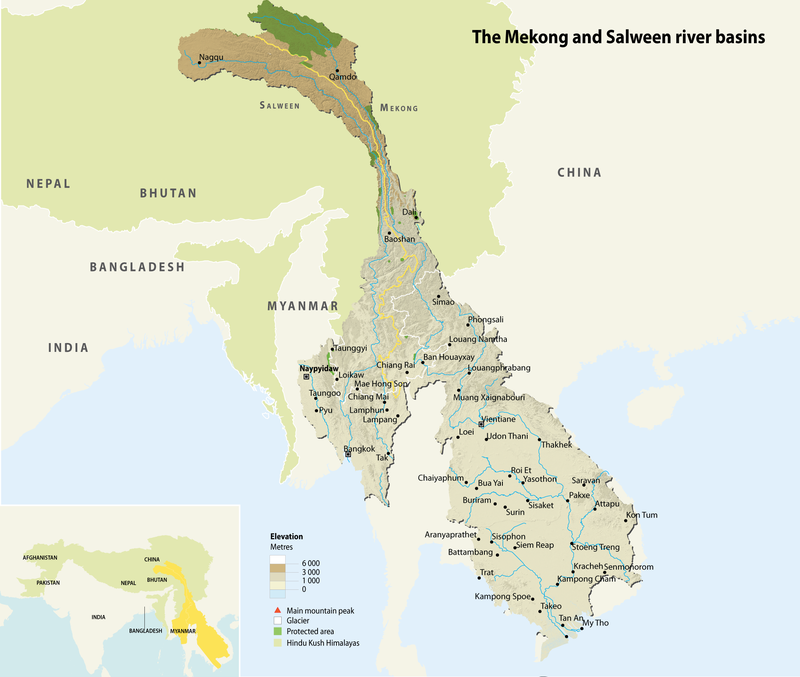 The Salween river originates approximately 4,000 m above sea level on the Tibetan plateau in China and flows southward through steep mountain canyons until emptying into the Gulf of Martaban in the Andaman Sea. For 120 km, it forms the international border between Myanmar and Thailand. Passing through a series of deep gorges, it is often referred to as the ‘Grand Canyon of the East’. It is also one of the longest free-flowing rivers in the world, although there are plans to build a series of 13 dams along the Chinese portion of its course. A swift and powerful river, it is only navigable up to 90 km from its mouth, and then only during the rainy season. The river is used to float timber to saw mills downstream.